Alice/Acciuga: European anchovy. These small fish are prepared in a variety of ways - deep fried, grilled, or marinated raw - as an appetizer, and preserved anchovies are used in small amounts in many sauces and dressings to add a bit of umami richness. Many regions also add a bit of anchovy inside their deep-fried zucchini flowers, so be prepared. Anguilla: European Eel. The oily flesh of eel is best served roasted over the coals or fried. Branzino/Spigola: European Seabass. 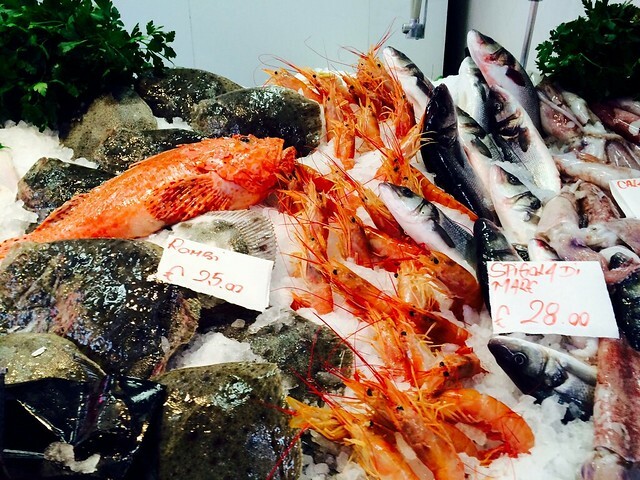 These handsome fish are served whole, roasted or grilled with olive oil and herbs, sometimes together with potatoes. It is priced by weight, and the whole fish is usually presented at the table first for inspection before being cooked, and then for inspection once ready to serve. Your waiter will ask if you would like him or her to clean the roasted fish for you (opt for the full service at least once, as experienced waiters have made an art of cleaning and deboning whole fish). Cernia: Grouper. 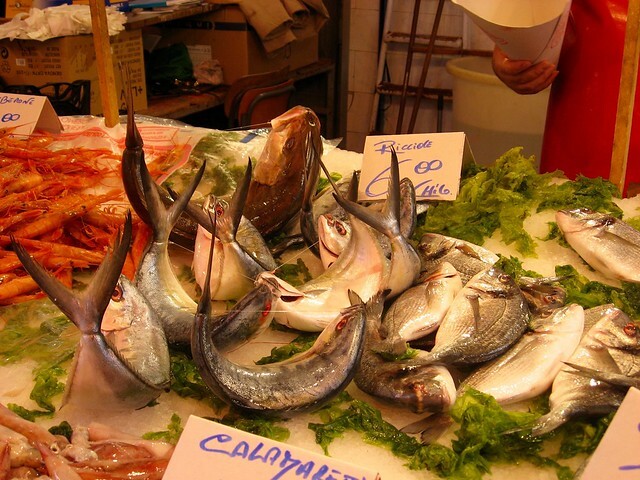 One of the most delicious fishes in the Mediterranean, and served whole like branzino (see above). Dentice: Dentex. 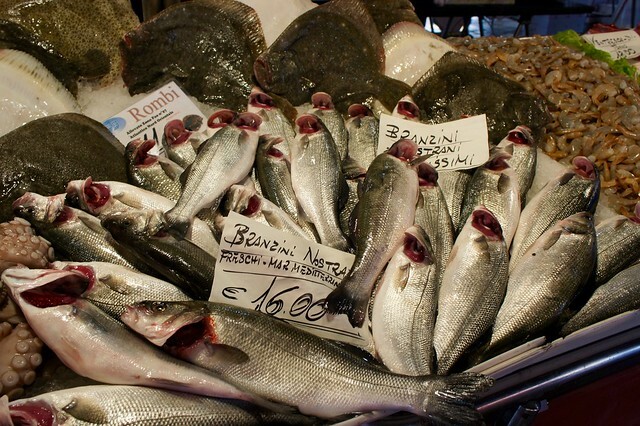 You may not be familiar with this species, but Italians love it for its rich, flavorful flesh. It is usually roasted whole or served in a simple tomato sauce. Merluzzo: Atlantic cod. 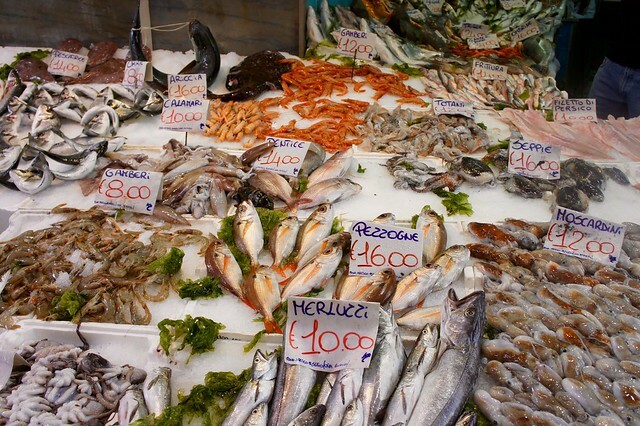 Though cod is not a fish found in the Mediterranean, Italians consume large quantities of it fresh, dried (called stoccafisso), and salted (called baccalà). Though fresh merluzzo can be rather underwhelming, a traditional dish made with stoccafisso or baccalà is often excellent. In Venice, baccalà mantecato (creamed and spread on bread) is one of the most common and popular cicchetti appetizers. Orata: Gilt-head Seabream. Another fish often served whole (see branzino above). 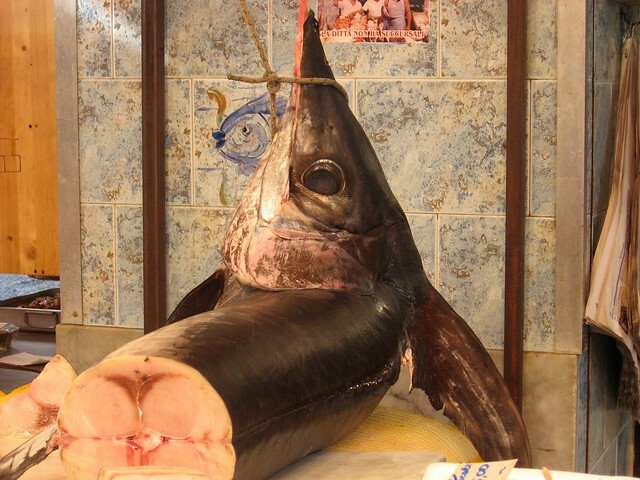 Pesce spada: Swordfish. Swordfish are generally served in “tranci” or steaks, and are most often grilled and dressed with olive oil and herbs, or tomatoes and capers. Sogliola: Sole. This humble fish is more often served at home than in a restaurant, but you can find it steamed or “alla mugniaia”, floured and pan-fried. Because of its mild flavor and few bones, it is often served to children. Tonno: Bluefin tuna. Italian tuna is among the world's best (sealed and packed in olive oil, canned tuna makes an excellent gourmet souvenir). 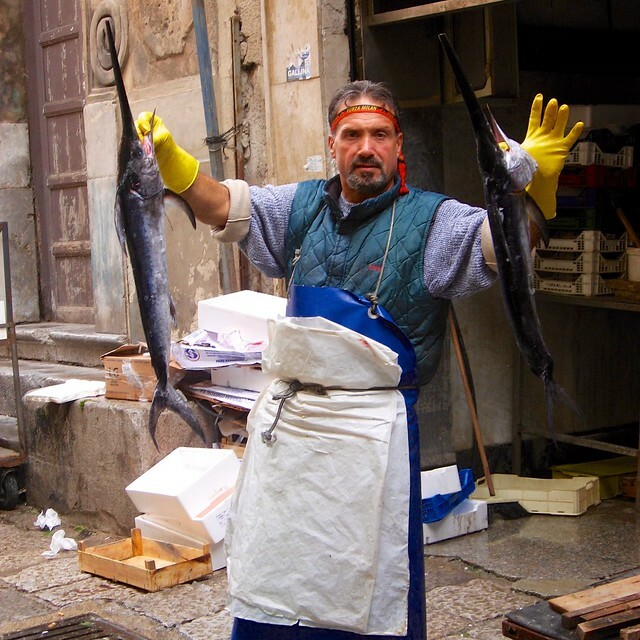 There were once entire fishing villages called “tonnare” which survived almost exclusively on tuna fishing, Sicily's San Vito lo Capo being the most famous. Trota: Trout. Even if you are inland, you can sample Italy's freshwater trout most often found on menus at destinations near lakes and rivers and served whole, roasted or baked. 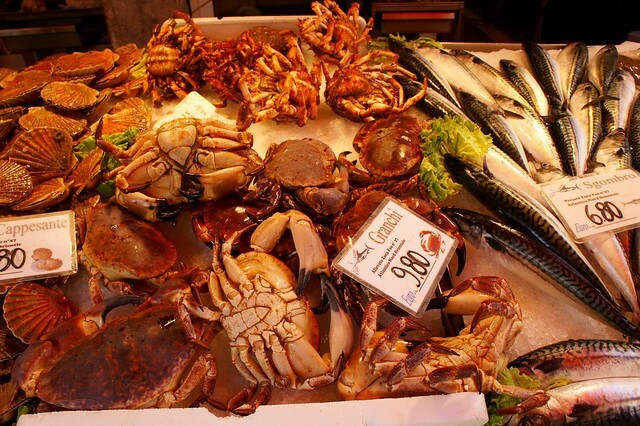 Astice Europeo: European Lobster. Though you will sometimes find the more expensive aragosta (Mediterranean Lobster) on the menu, most lobster dishes in Italy use astice, which more closely resemble American lobster with large pincers. They are served whole, grilled with olive oil and herbs (butter is almost never used in Italian fish and seafood dishes), or cleaned with the meat tossed with long pasta. Calamaro Europeo and Totano: Squid. One of the few Italian seafood dishes to have made it to the new world, calamaro in Italy is served in infinite ways: the body of the squid can be stuffed whole and baked, sliced into rings for frying, or chopped as an ingredient in seafood risotto or pasta. The tentacles are also often fried, and the ink used to flavor risotto or pasta. Gambero: Shrimp. Italians like their shrimp cooked and served unpeeled, so be prepared for some messy eating. 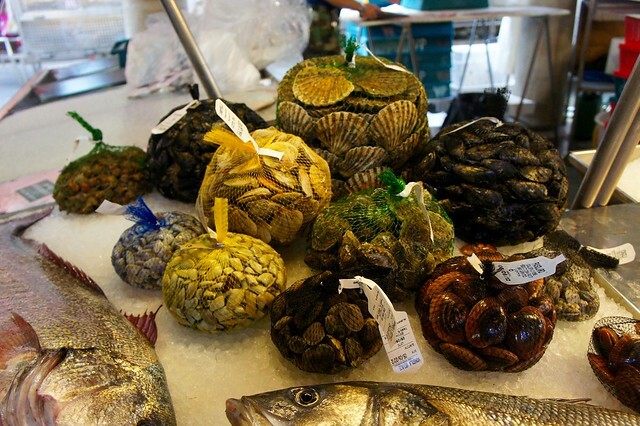 Prepared fried, grilled, or mixed with other shellfish and seafood for risotto or pasta. Polpo/Polipo: Octopus. 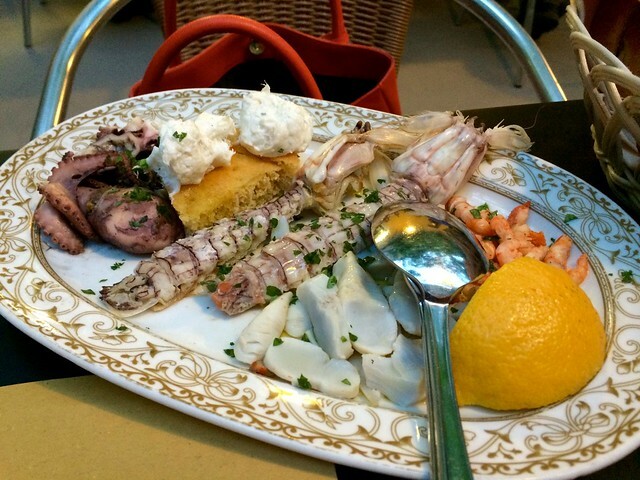 One of the most common and beloved seafood appetizers in Italy is cold octopus and potato salad. Octopus is also often served grilled or mixed with other fish and seafood for risotto or pasta. Riccio di Mare: Sea Urchin. Eaten like oysters, raw and straight from the sea, or quickly sauteéd with olive oil and herbs and tossed with long pasta. Scampi: Norwegian lobster, Dublin Bay prawn, Langoustine. These large, spiny and clawed prawns are known by a number of names, and are served most commonly whole, grilled with olive oil and herbs. Seppia: Cuttlefish. A very common ingredient in seafood dishes, its flesh used mixed with other fish and seafood in risotto and pasta much like calamari, and its black ink used to flavor sauces and condiments. Capasanta: Pilgrim scallop. This symbol of Spain's Santiago de Compostela pilgrimage is usually served on the iconic shell with a cream sauce or herbed breadcrumbs as an appetizer, or grilled whole and flavored with a variety of sauces or condiments. Cozze: Mussels. One of the most ubiquitous shellfish on Italian menus, served steamed in a broth flavored with garlic, herbs, and wine (use thick slices of bread to sop up the rich broth), grilled with herbed breadcrumbs, tossed with long pasta, or mixed with other shellfish and seafood for risotto or pasta. Ostrica: Oyster. 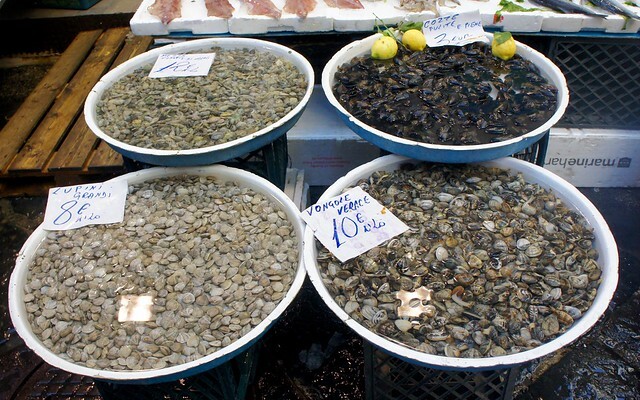 Italians generally avoid oysters in summer, when they spoil more easily, though in more touristy destinations they will feature them on menus all year round. Vongole: Clams. There are a number of clam varieties in Italy - Striped Venus Clams being the most common - and they are most often steamed and served in their liquor with garlic and herbs, tossed with long pasta, or mixed with other shellfish and seafood for risotto and pasta. Bottarga: This is the dried roe of mullet, served grated on spaghetti and other dishes as a sharp, fishy seasoning. Colatura di Alici: This strongly-flavored fish sauce is made from fermenting anchovies in brine and comes from the fishing village of Cetara on the Amalfi Coast. A descendent of the Ancient Roman's garum sauce, this clear, yellow liquid is used to flavor pasta and fish dishes. 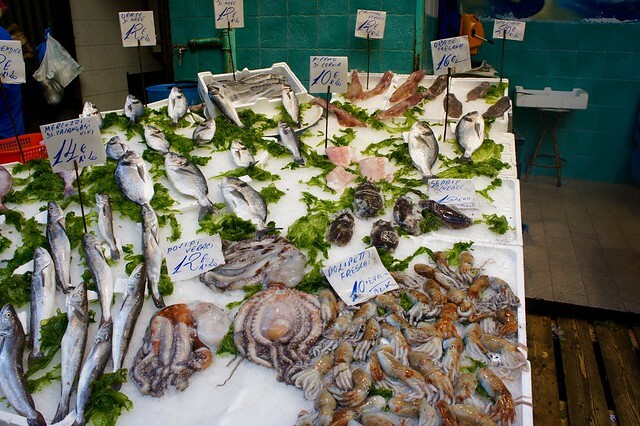 Just as in the rest of the world's oceans and seas, overfishing and illegal fishing in the Mediterranean is taking its toll on the fish and seafood stocks there. If you are concerned with sustainability and the ecosystem, you may want to limit or avoid the following fish and seafoods that have been declared at risk: salmon (salmone), eel (anguilla), scallops (capasanta), grouper (cernia), and swordfish (pesce spada).